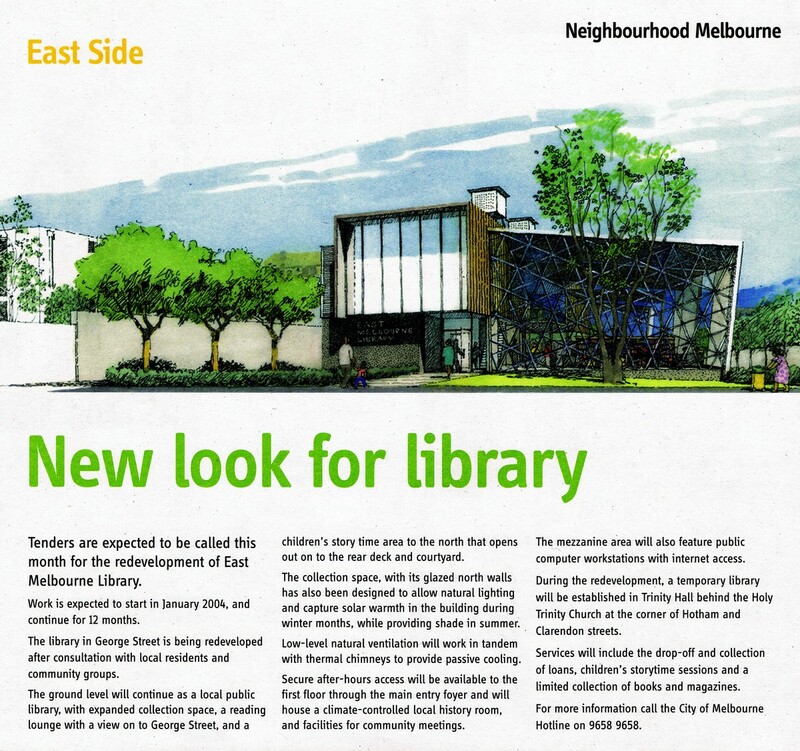 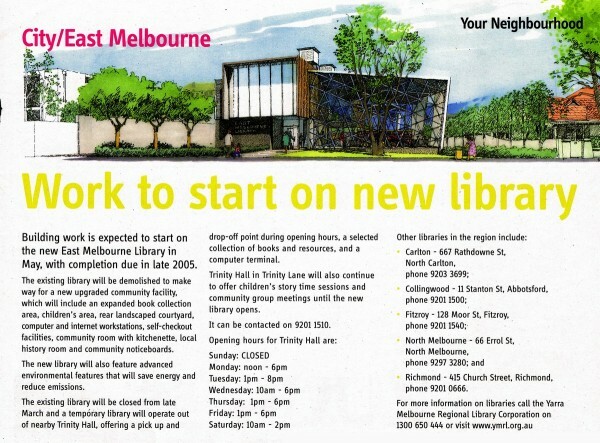 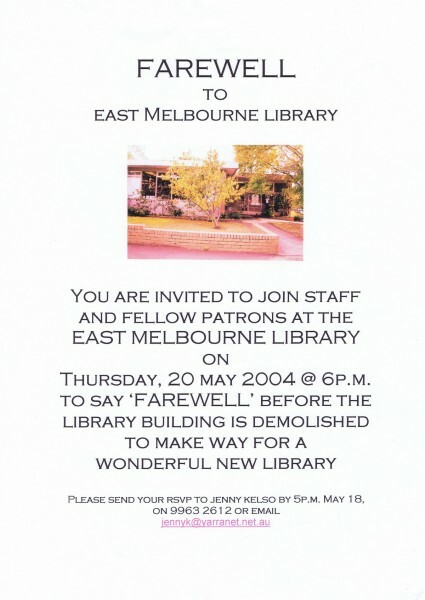 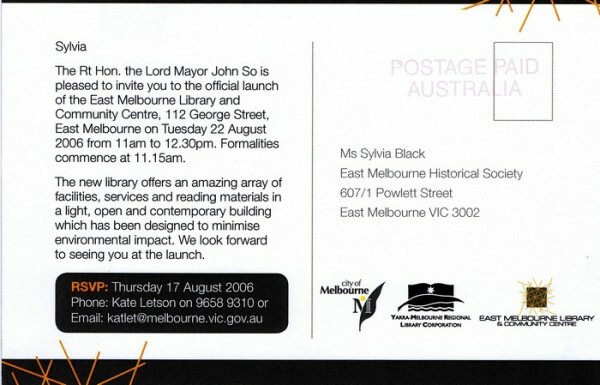 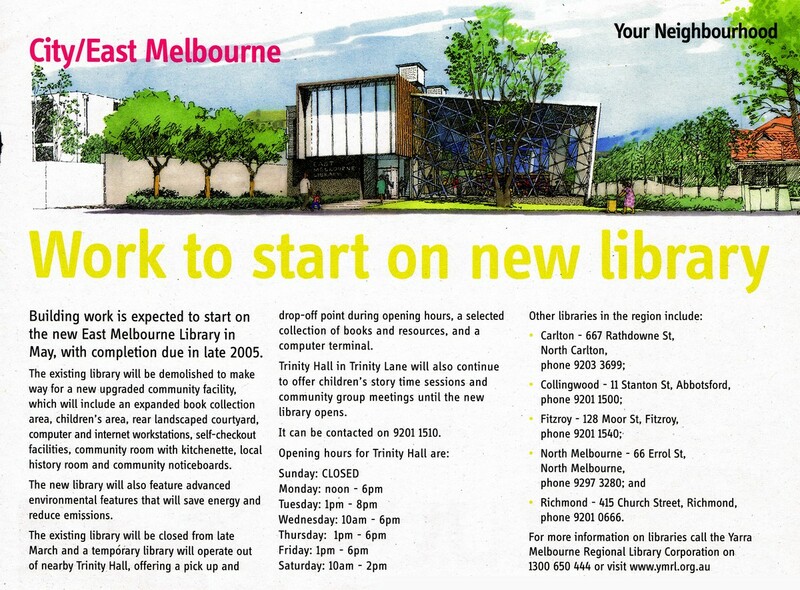 Updates from the Melbourne City Council on progress of library re-development. 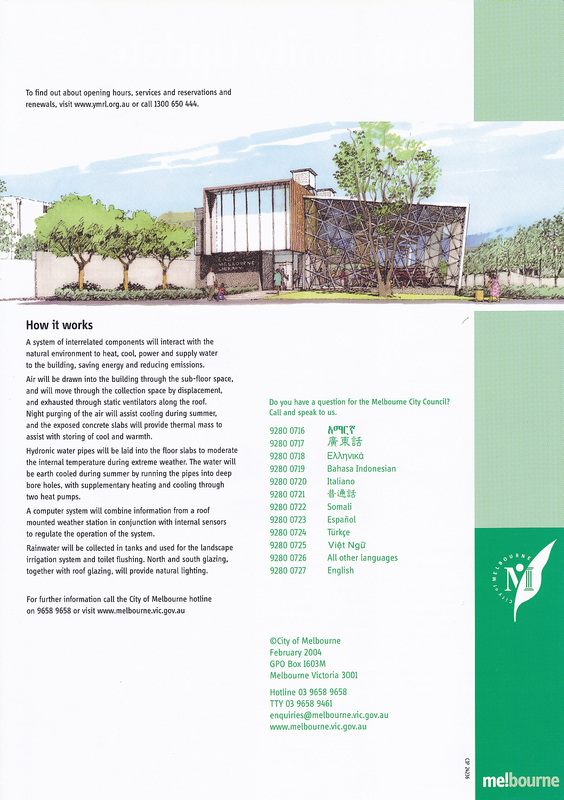 Drawings. 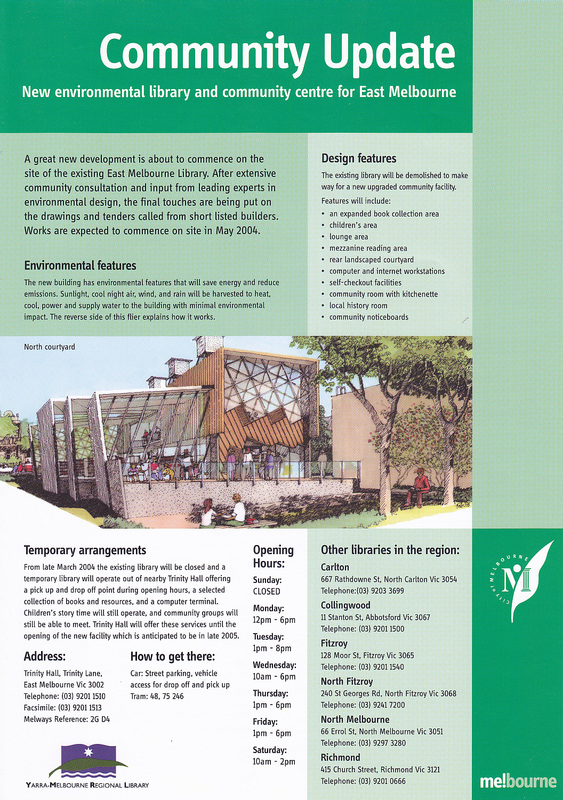 2003-2004.